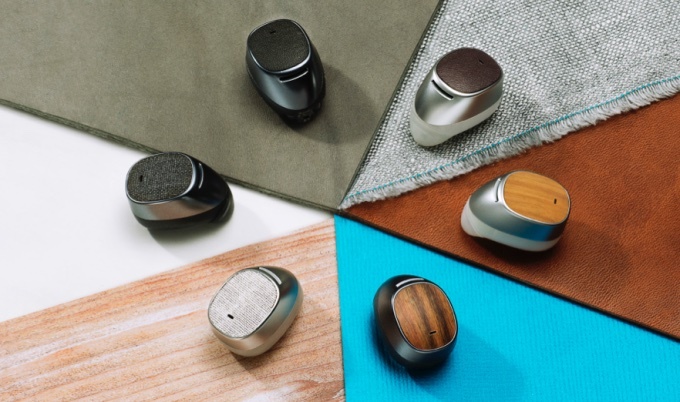 Moto Hint, Motorola's fashion-forward Bluetooth earpiece, is going on sale on 15 December in the UK. It will sell for £99.99 on Amazon and other retailers. The futuristic earbud is available in a variety of finishes and looks like something straight out of Spike Jonze's hipster sci-fi movie Her. Instead of being designed to take calls - as regular, dowdy-looking Bluetooth headsets do - the Moto Hint works with touchless Moto Voice on Android smartphones, including Motorola's own Moto X, as well as Google Voice on tablets and computers to deliver anything from notifications to navigation directly to your ear. The Hint acts like a personal assistant in a headset. With a quick tap or a customisable voice command, it lets you check the weather, set alarms, send texts or make calls without picking up your smartphone. With a Moto X, there's some extra features available such as posting straight to Facebook and the range is a decent 150 feet. Since battery life is only around three hours, Motorola is also bundling it with a combination case and charger which brings this total up to 10 hours of talktime. It weighs just 6g and fits relatively snugly in the ear - we tried a design prototype. It's more inconspicuous than you'd think too. We didn't notice Motorola's CEO and execs were all wearing Hints until they pointed it out to us. The variety of finishes match some of the options available for the customisable Moto X - leather, wood etc - but the initial model is a 'dark fabric material' according to Motorola's official release. As with the Moto 360 smartwatch, we may have to wait for the prettier options. The price is a pleasant surprise too - it was announced at $149 for the US and the UK price of £99.99 is fair. Pre-order isn't live on Motorola's UK website yet but is 'coming soon'. Stay tuned for a full review once we can get our ears on a final Moto Hint sample.